FAQ-What can I expect at the Orange County Reiki & Psychic classes? What on-going classes is Anne currently teaching? 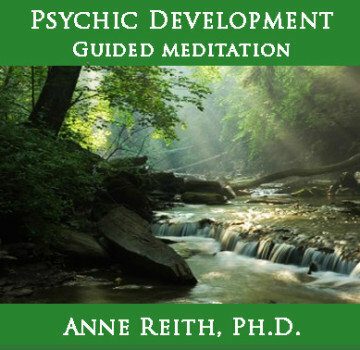 What psychic development workshops does Anne typically teach? What Reiki and Karuna Reiki® classes does Anne typically teach? 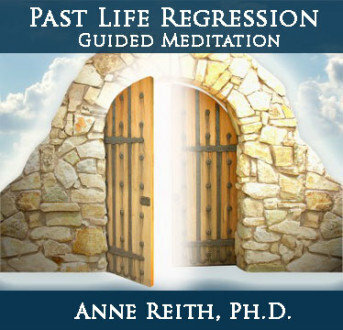 Why does Anne recommend that her psychic development student take Reiki? What can I expect when I attend one of Anne’s classes or workshops? How do I register for Anne’s classes or workshops? May I arrive late to Anne’s Thursday evening “Psychic Development, Mediumship, and Channeling” class? May I attend Anne’s “Advanced Practice in Psychic and Healing Arts” course? What if I’m not located in the Southern California area? When will new educational material become available? Anne currently teaches her Psychic Development, Mediumship, and Channeling class every Thursday evening from 7:00-9:30 p.m. at the Impart Wisdom and Wellness Center (IWWC). The The IWWC is located at 540 N. Golden Circle Dr. #108, Santa Ana, California. This class is appropriate for all skill levels, ranging from very beginning to advanced. See Anne’s Calendar to review the list of rotating topics that are covered each month. On Tuesday evenings, Anne also teaches a more intermediate- to advanced-level course called Advanced Practice in the Psychic and Healing Arts. Attendance in the class requires instructor approval, which typically consists of taking several classes (e.g., psychic development, Reiki) from Anne so she can assess your readiness and fit with this course. This class meets from 7:00-9:30 every Tuesday evening at Impart Wisdom and Wellness Center (IWWC). The IWWC is located at 540 N. Golden Circle Dr. #108, Santa Ana, California. NOTE: See Anne’s Calendar for an up-to-date listing of the topics being covered in her weekly classes. 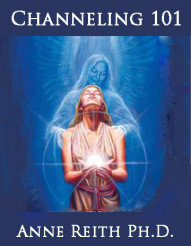 Anne teaches a wide range of 1-time psychic development workshops. Some of these are offered on the 2nd Thursday of each month, as part of her Psychic Development, Mediumship, and Channeling class at Impart Wisdom and Wellness Center (IWWC). 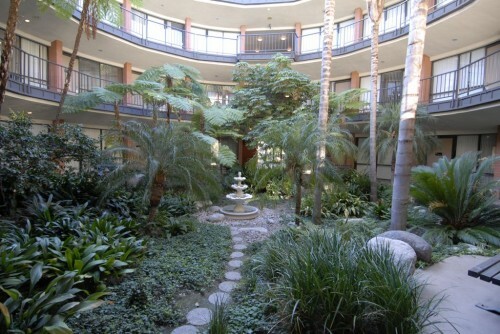 The IWWC is located at 540 N. Golden Circle Dr. #108, Santa Ana, California. Other workshops are occasionally offered on weekends. NOTE: See Anne’s Calendar for an up-to-date listing of workshops that have been scheduled. Anne teaches several Reiki and Karuna Reiki® classes every month, which are typically offered on Saturdays or Sundays. These courses are offered at Impart Wisdom and Wellness Center (IWWC). The IWWC is located at 540 N. Golden Circle Dr. #108, Santa Ana, California. NOTE: Anne’s Reiki and Karuna Reiki courses require preregistration. Be sure to contact us at Anne@AnneReith.com or call (714) 599-0017. 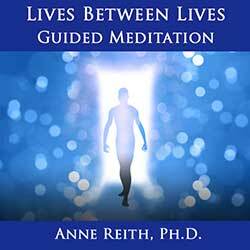 NOTE: See Anne’s Calendar for the Reiki and Karuna Reiki classes that are currently scheduled. And be sure to join Anne’s Online Community to receive regular updates regarding upcoming classes. Why does Anne recommend that her psychic development students take Reiki? 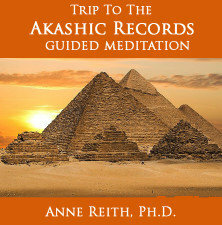 Anne has repeatedly observed that taking Reiki will “jump start” her students’ psychic skills. Why is this? As part of the Reiki training, the students receive what is called an attunement, which activates the student’s ability to serve as a conduit for the healing energy. The attunement, in essence, widens the meridians that flow through the body. During healings, these widened meridians allow a greater amount of healing energy to flow through the healer’s body and into the person who is receiving the healing. During psychic and mediumship readings, psychic information flows through this same meridian system. Therefore, by widening the meridians through a Reiki attunement, most people report a noticeable increase in their ability to receive psychic information. With each progressive level of Reiki, the student receives another attunement; therefore, the person’s psychic skills receive another “jump start,” which is also true if Karuna Reiki® is taken. The student’s psychic skills will develop by taking psychic development classes; however, the developmental process tends to be faster if Reiki is taken. 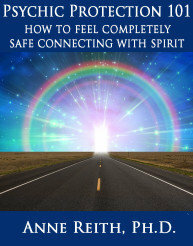 NOTE: For additional information, see FAQ’s About Connecting with Spirit. “Check-in”: This is a time for people to get to know each other and ask questions of Anne before the class gets started. Lecture and Handouts: As a very experienced teacher, Anne covers a great deal of content in a very short period of time, and she explains even complex information in a way that is understandable. 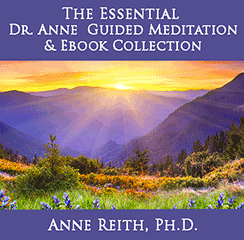 Guided Meditation: The same guided meditation that is used in her psychic development classes is available in Anne’s Store (i.e., Guided Meditation for Psychic Development). Practice: In her psychic development classes, the remainder of the class is spent practicing the skill that was presented during the lecture portion of the class (e.g., runes, mediumship, telepathy, clairvoyance). In her Reiki and Karuna Reiki® classes, time is spent practicing one or more of the skills that were taught during the class. Closing Chakras: During the guided meditation, Anne will instruct the students to open their chakras in order to be a better conduit for psychic information or healing energy. At the end of class, Anne always instructs the students to close their chakras. Why? When chakras are in an “open” position, the person can pick up on energy that is around him or her. When in a safe space, this facilitates conducting psychic/mediumship readings or healings. However, when chakras are open in a more public location (e.g., freeways, grocery stores), this makes the person vulnerable to picking up energy that is unwanted and perhaps even toxic. Therefore, Anne always insists that students close their chakras before leaving her classes. THURSDAY EVENING CLASSES: Anne’s evening classes (e.g., Psychic Development, Mediumship, and Channeling) can be paid for at the door. Preregistration is not required, but if you have any questions or you would prefer to pay in advance, then please feel free to email us at Anne@AnneReith.com or call (714) 599-0017. Registration and refund policies are available on this website. WEEKEND WORKSHOPS: Preregistration is required and space is often limited for all of Anne’s weekend workshops (e.g., Reiki, Psychic Development 101). If you have any questions and/or to find out if there is space available in a workshop, please email us at Anne@AnneReith.com or call (714) 599-0017. Anne recognizes that family obligations, work obligations, and freeway traffic can hinder prompt arrival to this class. She typically begins her classes with a lecture. If you are are running late and don’t mind missing the first portion of the lecture, it is fine if you are up to 30 minutes late to the beginning of most Thursday classes. For a list of scheduled topics, please refer to Anne’s Calendar. EXCEPTION: For the Sampling of Reading and Healing Techniques event, which occurs 4 times a year, (a) preregistration is strongly recommended because the event does sell out and (b) you must arrive by 7:15 or you will not be admitted to the event. Speak with an IWWC staff member at the door to sign-in/register. Please enter the classroom quietly and take any available seat. If you arrive and the door to the room is closed and there is no light on underneath the door, then you can assume the meditation has begun and you should NOT enter the room until the meditation is complete. After you hear noise inside the room and the lights come back on, you may enter and join the class. NOTE: See Anne’s Calendar for a complete listing of scheduled topics in her Psychic Development, Mediumship, and Channeling class. Instructor approval is required for attendance at the Advanced Practice in Psychic and Healing Arts class in Santa Ana, California. Most often, students are required to take one of Anne’s Reiki or Karuna Reiki® courses and/or attend several of the Thursday evening Psychic Development, Mediumship, and Channeling classes before they are approved to attend this more advanced class. 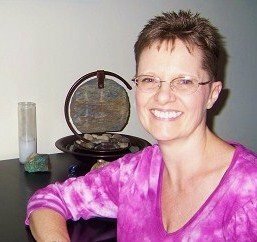 Anne currently only teaches her psychic development classes in the Southern California/Orange County area, although on-line/teleseminar classes are being considered. You are encouraged to become part of Anne’s Online Community so you can receive updates about new educational opportunities and products as soon as they become available. NOTE: Reiki and Karuna Reiki® courses are only offered in person. Anne is currently working on a wide range of educational material that will be made available as both ebooks and MP3 recordings. NOTE: Be sure to join Anne’s Online Community so you will receive updates about new products as soon as they become available.